Heek is a website builder tool designed for small and medium businesses based on a chatbot using artificial intelligence. The intelligent chatbot is able to build and manage a website in real-time, accompanying the user through the creation, maintenance and updating process with optimized results and personalized suggestions. 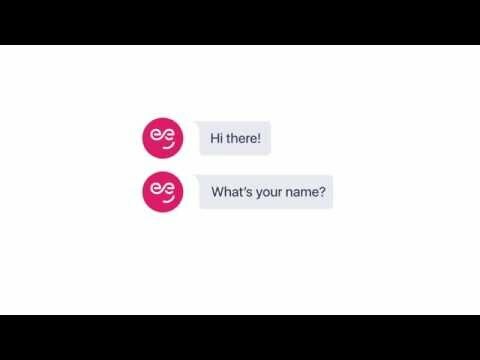 Using a conversational interface, the chatbot begins by asking questions about the user, including their name, company name, and type of business, and presents them with a variety of customizable site templates to choose from. Templates range from e-commerce storefronts, to businesses without products to sell such as charities or public figures, as well as sites for those in the media and entertainment industry, such as news, music, sports, food, education, animals, and more. The flow of the conversation feels similar to a consultation with a developer, designer, and marketing expert, inviting users to discuss the site's color palette, key objectives, and SEO strategy. Heek’s bot helps users update and animate the website, while also developing the customer base and site traffic. The bot will suggest items users may want to add, such as a business address and a contact form, or a navigation menu to be able to move between pages. The chatbot can also respond to demands or concrete actions such as “I would like to add closing hours” or “I have a new product to display”. Users can also customize the pages further, such as upload photos or add product information, pricing, and more. The WYSIWYG (what you see is what you get) website builder allows users to drag and drop various elements around the screen to customize the design. There are currently no reviews of Heek. Heek​’s chatbot ​is capable of progressing intelligence through machine learning as it converses with small and medium size business owners to get new insights. Heek makes website building fully personalized and efficient through chat, just as if the users were interacting with a web designer, developer, or marketing expert. The platform's AI engine personalizes the content of the user's website in real time, while giving the user total control of the result. All websites created with Heek come with a large choice of designs created by professionals, which are responsive to the various screen sizes of computers, mobiles and tablets. Users are able to book any extension they like, such as .com, .fr, and .net, or use an existing domain name. Below are some frequently asked questions for Heek. Q. What type of pricing plans does Heek offer? Q. Who are the typical users of Heek? Q. What languages does Heek support? Q. Does Heek support mobile devices? Q. Does Heek offer an API? No, Heek does not have an API available. Q. What other apps does Heek integrate with? Q. What level of support does Heek offer?